There are many people who ran for the tribe that have gone onto coaching careers (Alex Gibby, Jason Dunn are two examples at the collegiate levels) and Sonia Friend-Uhl has become a very successful trainer. Many many more who have become high school coaches at the high school level including Tim O'Dowd who takes many of the photos for this blog and coached a two time XC national champ. 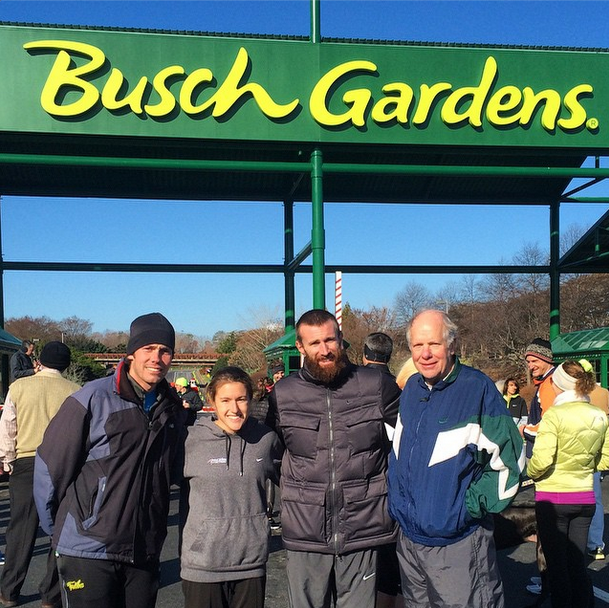 Others have become professional runners such as Matt Moran, Jon Grey, Christo Landry and Elaina Boularis. But there are others who have joined in for other endeavors (and send me more if you know of them). For example my senior roommate, Scott Douglas, is a senior content editor for Running Times/Runner's World and has written several books on running (two with my former training partner Pete Pfitzinger). 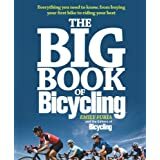 Emily Furia (who along with Harold Anderson puts together our two annual newsletters) has written a book and is the editor or Bicycling Magazine (and was a 1500 meter All-American). Eleven time All-American Matt Lane is a lawyer and a sports agent representing, among others, Ben True and W&M grad and USATF road racer of the year, (most notable as it comes after two years of injuries and sub-par results and years of climbing back up the ladder to success) Christo Landry (another All-American). This article only discusses the men's team, but it does a great job of listing all of the William and Mary men's runners who have broken 29 minutes for 10K as well as others connected to William and Mary such as Coach Solinksy who has a 27:59 record and Greg Meyer who ran 27:53 in 1982 (which I well remember as I stupidly chose to eat breakfast that morning rather than go to the track and watch the solo effort (2nd was mid 28 range). Thanks to Rick Platt for all his research on the article. Above is an image of Ed Moran who is the only W&M grad to have broken 28 minutes. Chris Solinsky broke the previous course record held by Adam Otstot '04 with a winning time of 25:14. Natalie Hall also posted a course record of her own, racing to a winning time of 29:43. Read alum Rick Platt's story from the Virginia Gazette HERE. At the recent USATF Annual Meeting in California, Christo Landry was presented with the Robert E. DeCelle, Jr. Memorial Award, which is given to the top men's long distance runner each year. It is yet another outstanding accomplishment for Landry, who had his best year of racing yet in 2014. Anyone whose time at W&M overlapped with Keith Bechtol knows just how brilliant and talented he is. Given that, it's not surprising to know that he is currently on a NASA-sponsored research trip in Antarctica! He is a post-doctoral fellow at the University of Chicago, after earning his PhD from Stanford, and will then proceed to another post-doctoral fellowship at the University of Wisconsin. 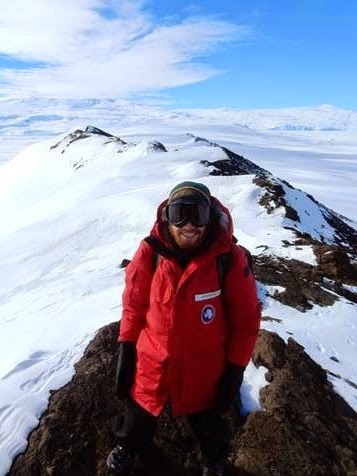 Check out his blog from Antarctica (http://kicp.uchicago.edu/~bechtol/blog.html), where you'll be happy to know he won a 5k Turkey Trot over the Thanksgiving holiday! Emily Stites earned another All-American title with a 36th place finish and the women ended up 17th. Here are all the results. It is also noteworthy that former W&M coach, Walt Drenth's women, as predicted all season, won the women's title in dominating fashion. This is a fun interview with the women's XC team taken 36 hours ago by Flotrack. On Saturday go here or here (or directly to Flotrack) to watch a live webcast of the NCAA XC race. The men are 1 pm at and the women are at 12 pm. 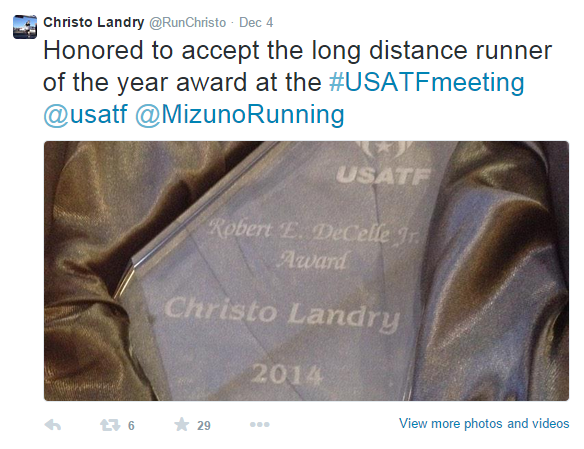 As we've documented all summer and fall, Christo Landry has had a great year of running in 2014. He has capped off his amazing season by winning the USA Running Circuit title, and a $25,000 prize for the accomplishment! 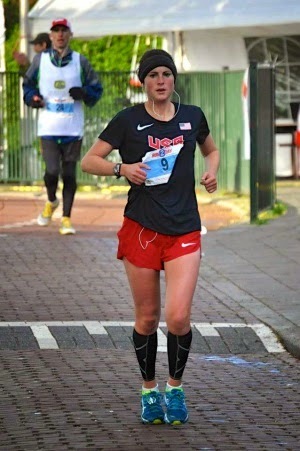 Competing in 7 of the 12 USARC events, Landry won three titles (10M, 25k, 10k), had two runner-up finishes (7M and 20k), a fourth place finish (15k), and closed with a eighth place finish at Sunday's 12k championship in Alexandria. 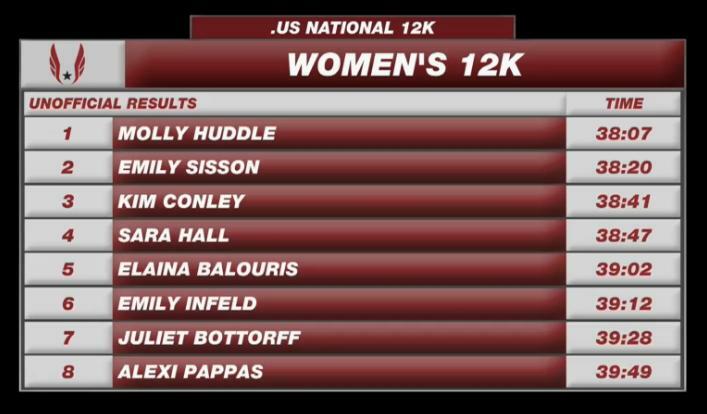 Elaina Balouris continued the great start to her pro career by finishing 5th at the USA 12k Championships. She completed the course in a time of 39:03 (5:15/mile pace), beating many notable names in a very competitive field. The women's XC team won the Southeast region meet automatically for the NCAA meet while the men finished 12th. Here are the results and here is a Daily Press article. The victory is the first ever for the women at the Southeast region. Representing the Atlanta Track Club, Sonja Friend-Uhl won the USA Masters XC Championship on Saturday, in Carmel, Indiana. She completed the 5k course in 18:23, beating the next closest competitor by 14 seconds. Congrats to Sonja as she continues to add to her wildly successful running resume!!! Natalie Hall and Chris Solinsky recently spoke to the US Track/Field Coaches' Association. Here is the conversation. 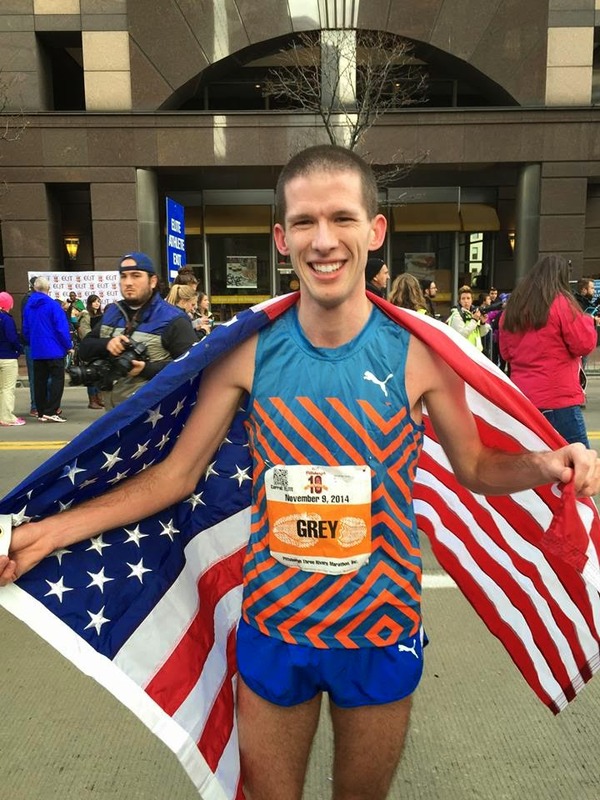 Jon Grey was the first American finisher, and fifth overall at the Pittsburgh 10-miler on Sunday. Representing Team USA Minnesota, Grey averaged 4:49/mile en route to a time 48:16. Also on Sunday, Elaina Balouris and her teammates on the Boston Athletic Association teammates won the USATF New England Cross Country Championships on Sunday. Elaina ran the 6k course in a time 20:45 to finish second overall, and to help lead a 1st-5th place sweep for B.A.A. 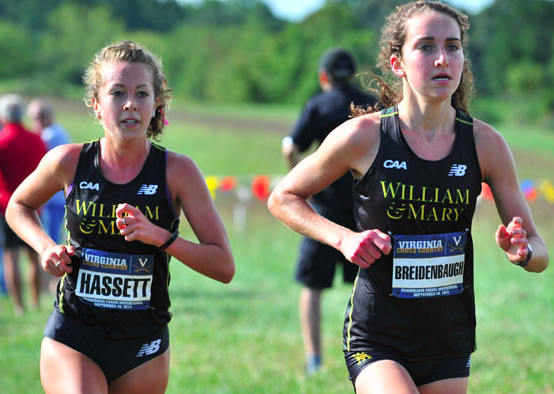 Carol Hennessey won CAA gold and Ryan Gousse finished in the runner-up slot to lead their teams to victory in the CAA meet. For the women, it was their 20th CAA title and the 3rd in a row, while the men notched their 15th straight victory. The men won with five in the top ten while the women placed four in the top ten. 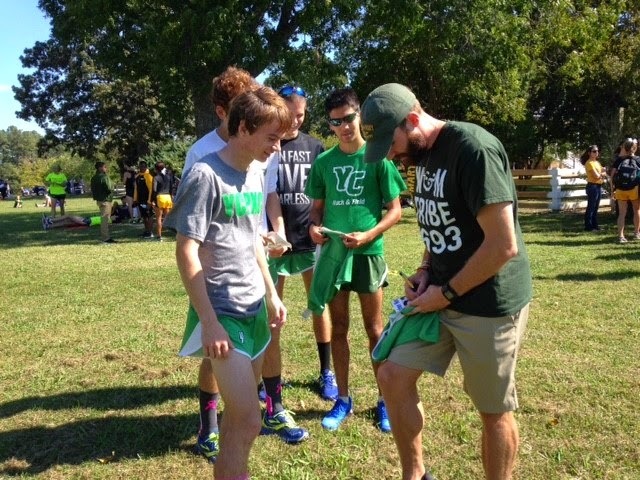 Assistant XC/Distance Coach Chris Solinsky found himself hard at work after Saturday's CNU Invitational, when he was spotted by runners from York College of Pennsylvania. He fulfilled each runner's request to autograph his/her race bib. Both W&M cross country teams travel to the Wisconsin Invitational this weekend. The meet is the deepest meet all year other than the NCAA meet. 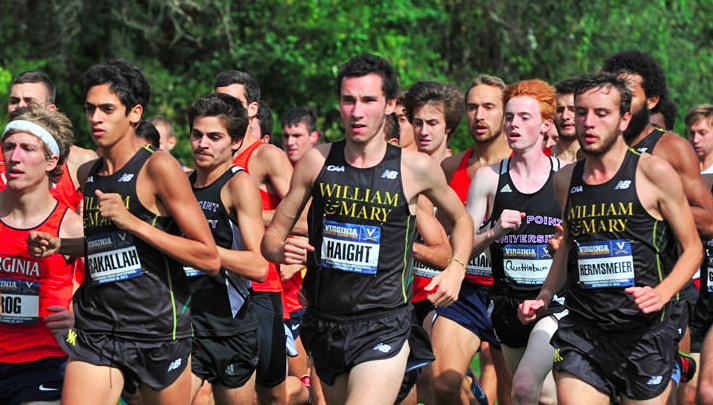 W&M has started a "getting to know" series on the cross country team which you can see here. Above is one on Becca Eudaily. Elaina Balouris ran a PR in the Tufts 10k road race, posting a time of 32:40. She finished 14th in a super-competitive field of elite women's runners. Full results here. 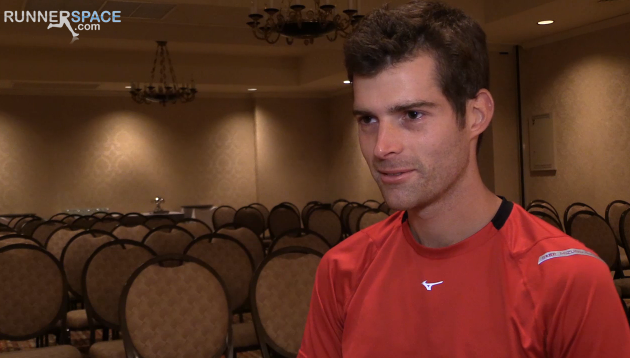 Landry is running the Chicago Marathon on Sunday and talks extensively about his preparation which included 150 mile weeks and 32 mile long runs. He is coached by former W&M coach Alex Gibby. 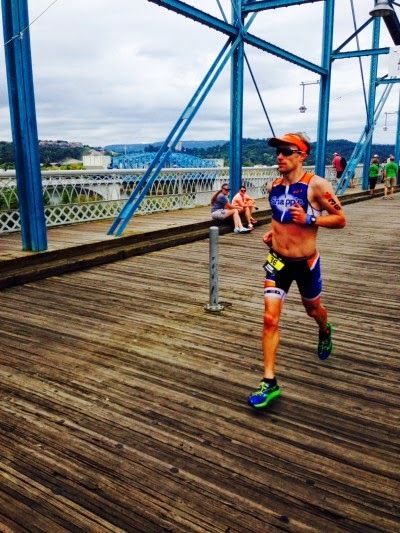 Congratulations to Adam Otstot on his 10th place finish at Ironman Chattanooga over the weekend! His continued success in triathlon and Ironman competitions is even more impressive given that he's now a father to a young daughter, and was recently named Coordinator for Health and Physical Education for James City County Public Schools. Keep up the great work, Adam! Thanks to Tim O'Dowd for his usual slew of pics. Here are the men and here are the women. For those who grew up in the digital age, Randy Hawthorne used to print out copies of his pictures and tape them up in the locker room for us to take home - one per customer - all of which I still have! Without their #1, the women still finished second to UVA which is ranked #10 in the NCAA. The men's team was eighth overall. 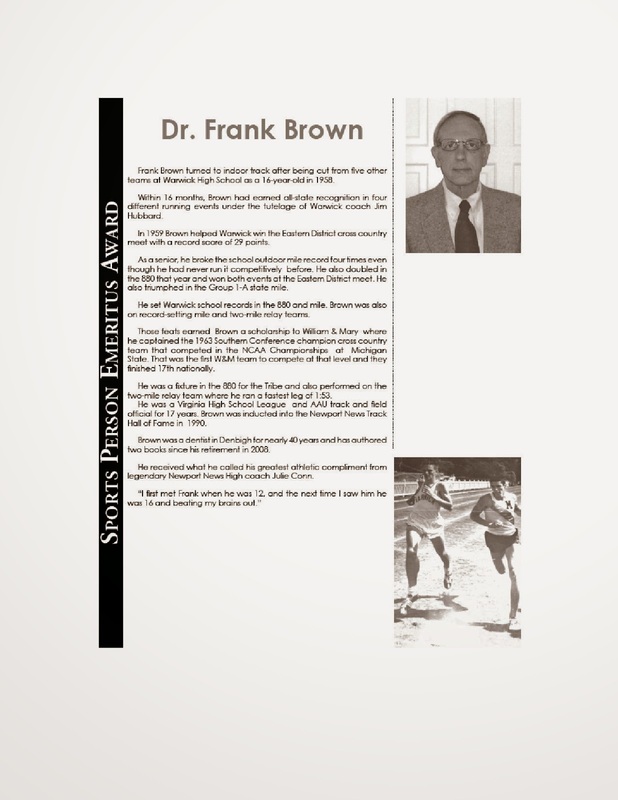 On June 16, 2014, former captain of the 1963 William and Mary cross-country team, Dr. Frank Brown, was awarded The Sports Person Emeritus Award by The Peninsula Sports Club at The 65th Annual Headliner's Night held at The Marriott Hotel and Conference Center located at The City Center in Newport News, Virginia. That team won The Va. State Intercollegiate Championship, The Mt. St. Mary's Invitationl Meet, The Va. State A.A.U. Championship, plus The 1963 Southern Conference Meet, and was the first cross-country team in William and Mary history to advance to The N.C.A.A. 's, held at Michigan State. This was sadly just after the Friday on November 22nd when President Kennedy had been assasinated. The team was admiringly coached by senior classmate, Jim Holdren, as head coach, Harry Groves, had taken a leave-of-absence on an A.A.U. Track and Field tour to Iran that fall. What a miraculous season it was for all involved. That team consisted of coach Holdren, Brown, Tom Ryan, Bob Lawson, Jimmy Johnson, and John Randolph. They could only afford to take five team members to nationals at that time due to a distinct lack of money. 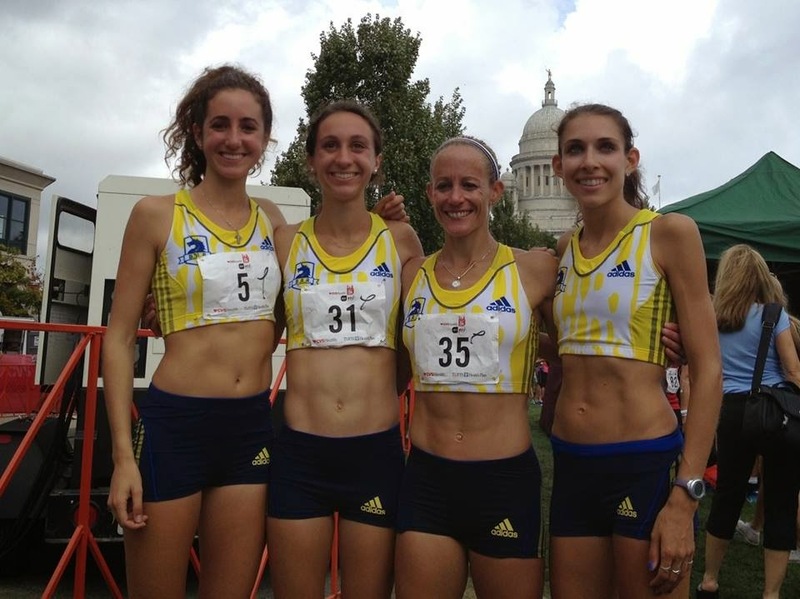 By now, you all know Elaina as a six-time All-American as a Tribe XC/distance runner, but now she is running professionally as a member of the Boston Athletic Association high performance team. The Boston College graduate student placed 14th (16:15) in a very impressive women's field at yesterday's USA 5k Road Championships in Providence. Kevin Cropp, still the 12th fastest performer in W&M history in the 1500m (3:45.5), is being inducted into the Parry McCluer HS (Buena Vista, VA) Athletic Hall of Fame this weekend! While in HS, Cropp ran the 5th fastest indoor mile in the nation in 1974, and also set 18 school records and 6 state records at various distances during his time at PMHS. He also holds the VHSL Class A record in the mile, which is still faster than the best 1600m time posted since the race changed to that (shorter) distance. 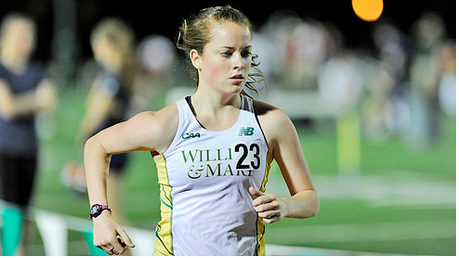 Some of you may remember Sabrina Moran Little who ran on the team for a brief stint at William & Mary, before turning her focus to higher mileage work. Let's just say that her move to higher mileage has proven to be wildly successful. Sabrina is the American record holder in the 24-hour run (147.9 miles covered in a 24-hour period!!!) and in the road 200k. Such performances have solidified Little as the face of female ultrarunning in the USA. Simply google her name, and you will be able to find many more of her outstanding accomplishments!! 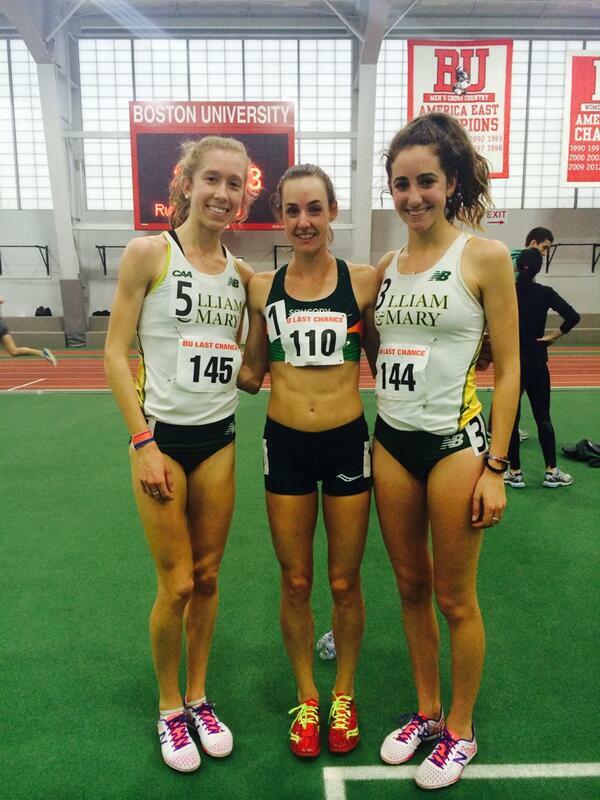 Both W&M teams easily won an invitation at Eastern States. The women, who are ranked 25th in the US were lead by Carolyn Hennessay and Meghan McGovern while the men were led by Trevor Sleight and Nathaniel Hermsmeier. Here is another in our getting to know series. This one on Rachel Rabbitt. W&M grad and current Stanford grad student, Keith Bechtol won a 1/2 marathon in Chicago in 1:06.52 proving he is still staying in good shape despite his studies. Here is my interview with Chris Solinsky the new men's distance coach. Solinsky, a former American record holder in the 10K is balancing both coaching while continuing his competitive career. 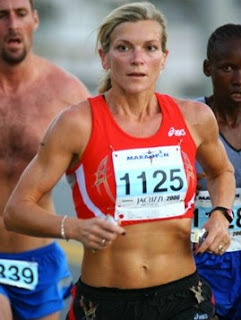 This is a nice interview I just did with Natalie Hall who is the new women's cross country coach. She has high hopes for the women as you can see in the video. '08 grade Christo Landry was narrowly beaten by 1 second at the USA 20K national champs. More soon. Here is a pre-race interview with him. The W&M coaches have started a YouTube channel where you are going to get more up close experiences with the teams. The videos above are interviews new coach Chris Solinsky made after the twin victories at Richmond. Men's results. Women's results. 2008 W&M grad Christo Landry is busy preparing for the Chicago Marathon and running in tomorrow's New Haven 20K US Championship as this article details. 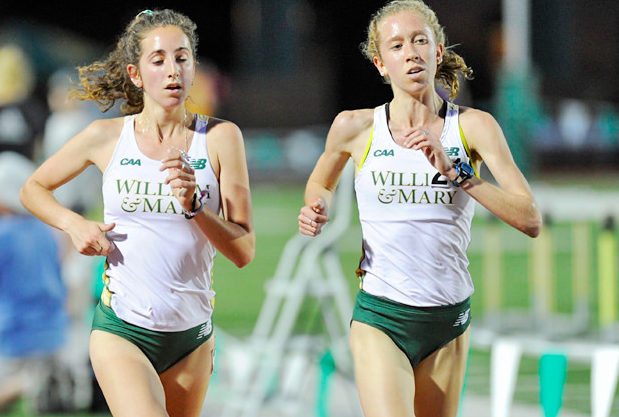 Meet a couple of W&M's cross country runners who will be completing tonight in Richmond. Alex Heacock and I used our lunch time today to talk about his new position as the throws coach at W&M. Play the video to meet Alex. Former American record holder in the 10K Chris Solinsky is coming to W&M to coach the distance runners. 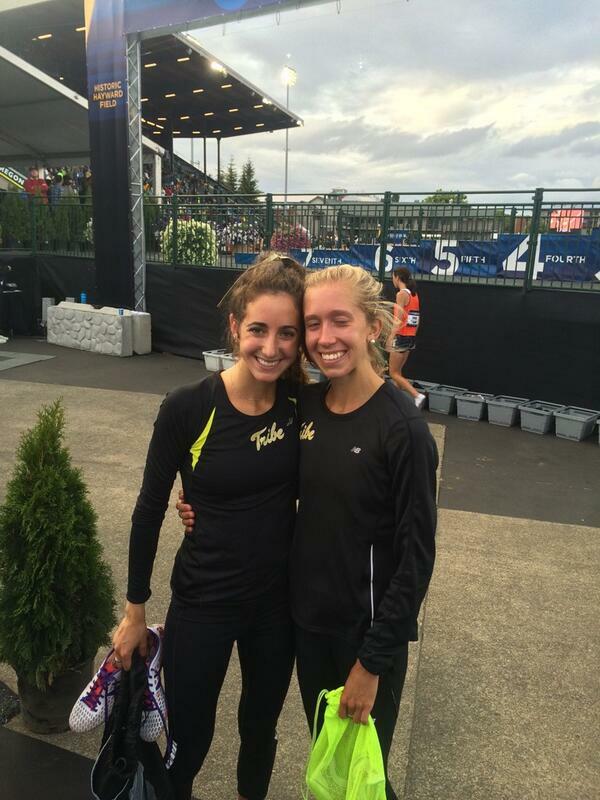 Solinsky ran 26:59 and has been part of a Nike training group in Portland, OR. I just spoke with Coach Walsh and will have an interview with Solinsky, Heacock and the soon to be announced final hire for the team in a few weeks. In the small world category, Solinky's agent has always been Tom Ratcliffe who was my training partner for five years and the picture of him above, taken last week in Maine, was taken by Stacey Cramp who is married to my roommate from senior year of W&M. Below are the last three laps of Solinsky's American record. Senior Elaina Balouris and sophomore Emily Stites went finished 5th and 10th respectively at the NCAA 10K. With her school record 32:40 only 23 seconds behind the NCAA leader, sophomore Emily Stites is now ranked 5th by Flotrack going into the NCAA meet. 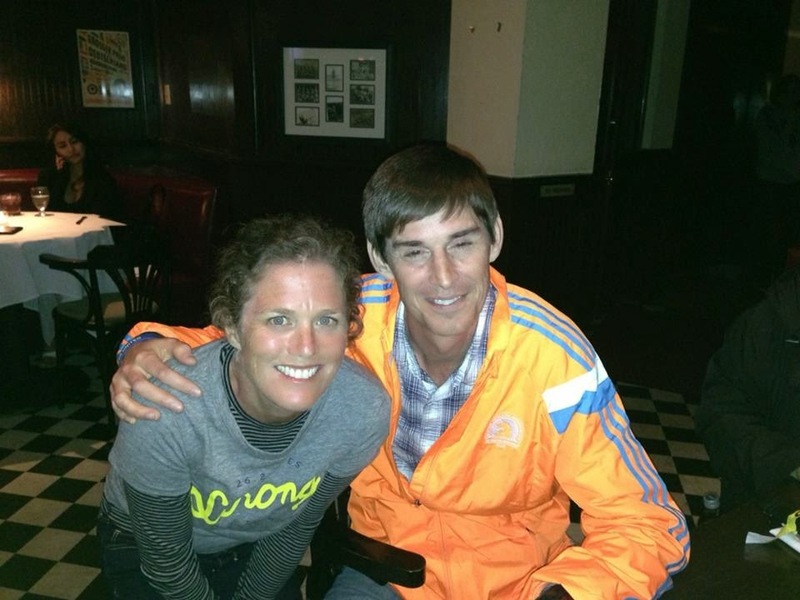 I should add that Sue Haynie '89 and John Kellogg '84 ran 2:51 and 3:15 at Boston today. Amazing to think how well they are still running. Both John (steeple) and Sue (5K) are still on the top ten all-time lists. The photo above was just taken a few hours ago. My senior roommate, Scott Douglas '86, has carved a great career in writing as a senior editor for Running Times and Runner's World). 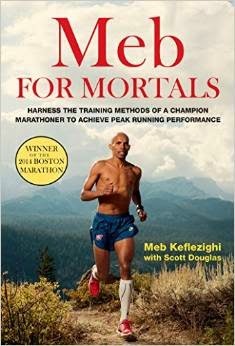 Above is one example of his great work as today he had a great one on one interview with Boston Marathon champ Meb Keflezighi. Back in 1992 Sonja Friend (now Friend-Uhl) set the 800 meter school record in 2:09.89. 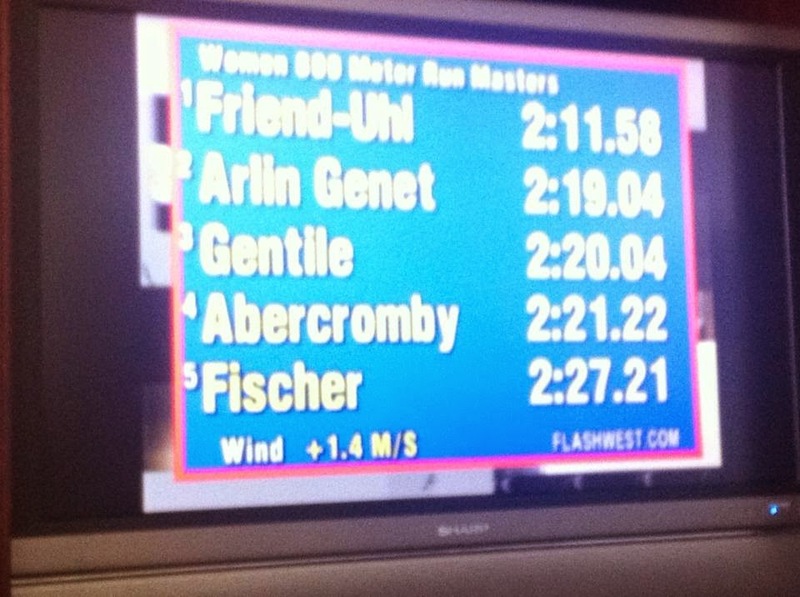 What is more remarkable is that at age 43 she just ran 2:11.58 at the Mt SAC Relays. If you have Flotrack Pro, you can see the race here. Here and here are over 200 pictures from the Colonial Relays taken by Tim O'Dowd. Here is a nice piece on senior Elaina Balouris who is in her senior season at W&M with five All-American titles, she is hoping for a 6th in the 5 or 10K (which is running in two weeks). 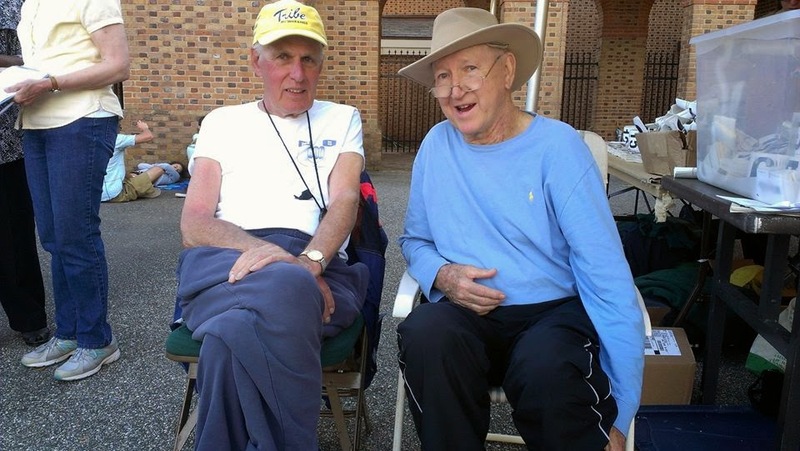 Tim O'Dowd promises me more pictures soon, but in the meantime here is a picture of Harry Groves and Baxter Berryhill at our recent Colonial Relays' reunion taken by Brian Mount. While the rest of his fellow brethren were enjoying a great reunion (pictures coming) in Williamsburg, Christo Landry was flying to his first national championship at the Cherry Blossom 10 miler in 46:41. The run made his the 6th fastest US performer of all time! The race placed him sixth overall and proves his decision to stay with former W&M coach Alex Gibby is paying off. In addition to Coach Walsh, Jill Miller and the star of our show, Dan Stimson, we will also be joined by Harry Groves (who coached Steve Walsh at Penn State), Roy Chernock and Jim Goggin at our reunion. Click here for the details on the reunion and go here to reserve your spot. 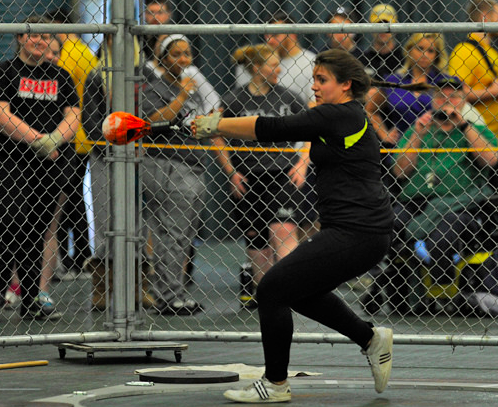 W&M swept the throwing events with a pair of two-event champions. Sophomore Rochelle Evans(Christiansburg, Va.) won the hammer throw on Friday afternoon with a lifetime-best toss of 42.74m (140-3), improving to 11th all-time in school history, and followed up Saturday with a win in the shot put. She put the shot 13.70m (44-11.5) to qualify for the ECAC Championships. Classmate Katie Johnston (Haddonfield, N.J.) won both her signature event, the javelin, at 40.12m (131-7), and also edged out Evans in the discus with a collegiate-best 38.50m (126-4). Johnson now ranks 16th in school history with the discus. As it has been all year long, the strength of the Tribe field eventers led the way. In the pole vault, redshirt-freshmanDerek O'Connell (Virginia Beach, Va.) took gold at a height of 4.90m (16-0.75), his fifth meet over 16 feet in the past two months, and took three solid looks at a school-record 5.10m (16-8.75). O'Connell qualified himself for the IC4A Championships and his height was tied for the eighth-best single performance ever at W&M, while he now ranks tied for fourth all-time among athletes. Freshman Lucas Wratschko (Fairfax, Va.) was third overall, clearing the bar at 4.65m (15-3) to rank 13th in school history. Also in the jumps, redshirt-freshman Dominic Burkett(Chesapeake, Va.) won the long jump, his first of two victories on the day, with a leap of 6.60m (21-8). 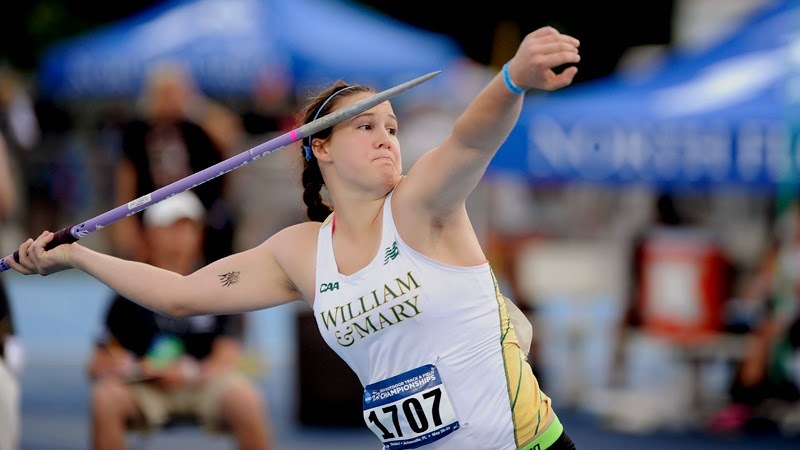 Go here this weekend for live results from the William and Mary Invitation. Flotrack Predicts "W&M Girls To Challenge in 5K"
I can't remember the last time W&M had two people in the top six in any race and now even Flotrack is predicting Stites and Balouris to challenge for the top couple of spots tonight. Stites and Balouris both got to the NCAA meet yesterday and are ranked 3rd and 6th in the country. It should be a great race tomorrow (Friday) evening at 8:25. Here are all the details from activities to hotels, meals, etc for our very large reunion weekend in conjunction with Colonials from April 4 - 6. Emily Stites and Elaina Boularis crushed their respective 5Ks in 15:43 and 15:46 which ranks them 5th and 8th in the NCAA. Both times are under the indoor record and Stites broke her own outdoor record by two seconds. Both should will be going to the NCAA meet by virtue of the times. Pictured above is Molly Huddle the outdoor American record holder in the 5K. We are planning our third large William and Mary Track/XC reunion over Colonials (April 4-6) weekend. If you are thinking of coming, please fill in this survey. When we had it three years ago 150 attended and seven years ago we had 120. We are also going to be celebrating Dan Stimson's induction into the Hall of Fame. Thanks to Tim O'Dowd for the pictures from the men's and women's teams at the recent Patriot Games. Randy Perkins was a mile/3K runner when I was in college. He has three sons, two of which are current runners on the Air Force team. Zach was the NCAA Division I runner-up last spring and was interviewed recently here by Runner's World.